From natural birth, or via c-section and neonatal resuscitation, to nursing problems, septic arthritis and septicemias, we have extensive skill in helping newborns thrive. Litter exams include a complete physical exam of each puppy or kitten, noting things such as presence or absence of a heart murmur, eye or ear issues, skin issues, hernias, internal and external parasites and more. 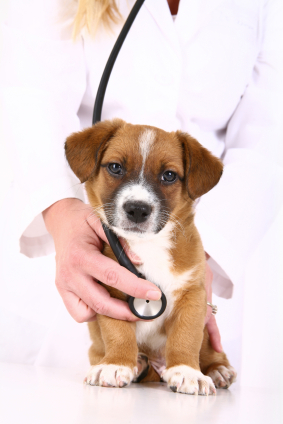 Pediatric care is the most important time to initiate health and wellness in your pet’s life. From screening for infectious and congenital diseases to developing an individualized preventive medicine and vaccination schedule as well as thorough nutrition and training plan, we want to ensure that your puppy’s and kitten’s health comes first in order to make sure they are fit and ready for a long love-filled life. Adopting a new kitten or puppy is a wonderful and exciting experience. It is also a time where a little extra planning can help a new pet develop the calm and confident temperament that will help them enjoy life to the fullest. The American Veterinary Medical Association provides the basic tenets of socialization as outlined below.